MHI Engine Base Renamed "Mitsubishi Turbocharger and Engine Europe B.V."
Mitsubishi Heavy Industries, Ltd. (MHI) changed the name of its subsidiary in Almere, the Netherlands, which handles its turbocharger and engine businesses in Europe from the previous "MHI Equipment Europe B.V." to "Mitsubishi Turbocharger and Engine Europe B.V." In tandem with the changeover, the renamed company will now further accelerate activities to expand its business not only in the European market, where demand is robust, but also in newly emerging markets such as Africa. Mitsubishi Turbocharger and Engine Europe B.V., a local subsidiary wholly owned by MHI, will continue to perform the design, manufacture, sales and servicing of turbochargers as well as the manufacture, sales, outfitting, installation and servicing of engines for power generation, industrial vehicles and marine-use. The company has approximately 770 employees. The company initially began operations as a marketing and service base in Europe for MHI's turbochargers and diesel/gas engines for power generation, industrial vehicles and marine-use. Business in turbochargers has expanded sharply since 1991 through broadening of related activities, including the launch of local production, expansion of local procurement, and the incorporation of design functions into its business portfolio. The company today has established a solid position in the European market, surpassing the Sagamihara Machinery Works, MHI's turbocharger production base in Japan, in terms of sales and production units of turbochargers. Going forward, further expansion in turbocharger demand is expected in the European market in step with moves to comply with environmental regulations, and increased demand is also projected for repair and replacement services. The company is now establishing a business structure to respond to those demands. The European firm's engine business also has earned the trust of customers in the local market through its sales and servicing activities. 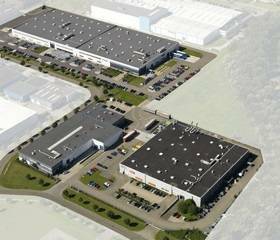 In 2004 the company established MHI Equipment Alsace S.A.S., a wholly owned subsidiary, which acquired most of Wärtsilä France's existing production facilities at an engine production plant in Alsace, France. The engines produced there with MHI's technological assistance and quality control have garnered high acclaim from a broad customer base. Shifting its business focus from sales of engine units to marketing of power generation systems incorporating high-value-added diesel/gas engines, the company is now pushing forward with exploration of emerging markets, including African countries, in addition to the European market. Today MHI is in the process of establishing globally optimized production and procurement structures for both turbochargers and engines. 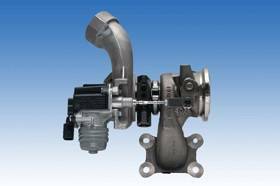 For turbochargers, manufacturing flexibility is to be further enhanced through the addition of a U.S. production base scheduled for 2014, expanding on the "three-pole" configuration that currently includes Japan, Europe (the Netherlands) and Asia (Thailand and China). With respect to engines, MHI looks to further strengthen its ability to respond quickly to the needs of global customers by making full use of its three production centers in Japan, Europe (France) and Asia (India and China). Going forward, as Mitsubishi Turbocharger and Engine Europe B.V.'s expands even further, the company will play an important role in MHI's globally optimized production and procurement structures.